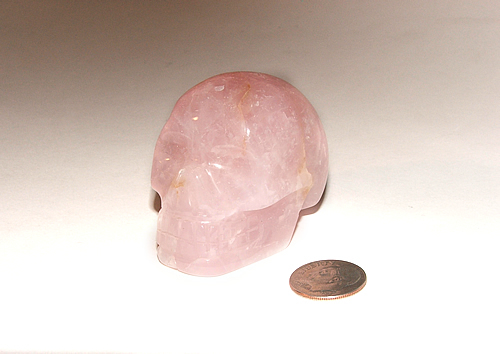 Each skull is hand carved from geniune rose quartz. Rose Quartz is known for certain healing powers to the heart Chakra and in helping provide inner peace. Since each crystal skull is hand carved, they vary slightly in size and shape. Measures aprox 2" from jaw to back of skull.